I actually like this version better. Just because I dig the bands featured. Full report when I return from here!! 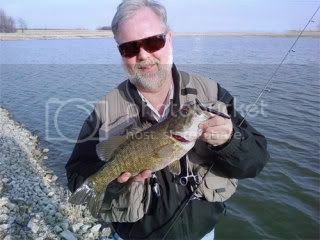 Oh..and by the way bass fishing is very good around Chicago due to rains. Find a flowing storm drain..blah blah blah..you know the deal. See ya!!!!!! Please click here and help out our very own Pat Halko. He's 25 years old and has been stricken with cancer. He needs all of our help. Yet again a great time was had at Pipestone Lodge!! Just as in past years the place was great, the food was awesome, the friends were spectacular and the fishing was OFF THE CHARTS! 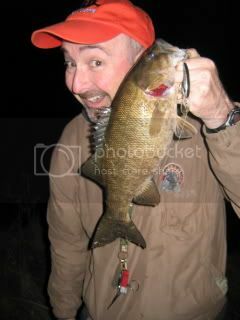 Our main fish was , of course, smallmouth bass. The shallows were packed with them in certain areas. 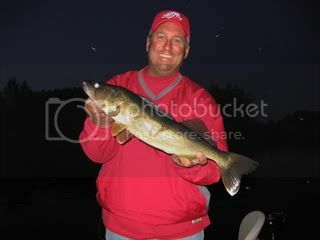 We also caught some really decent pike, a muskie or two and even the occasional walleye. A strange thing happened this year. 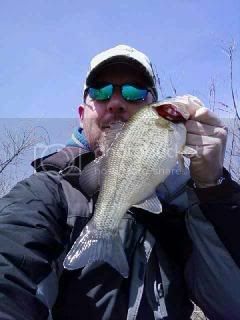 We had a late spring so the water temps were in the high 50's a couple weeks prior and shot up to 72-74 by the time we got there. 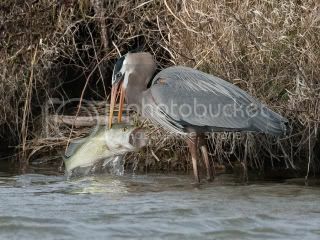 That meant that almost every fish in the lake was prowling the shoreline. Another strange thing was the " Beaver Hut Phenomenon". With young-of-the-year perch just schooling up around the beaver huts, it was common to see smallies, pike, HUGE schools of walleyes and several muskies stationed at each and every beaver hut on the lake. I've never seen it before. A muskie sitting there next to a smallie, next to 3 pike, all surrounded by 18-24" walleyes in 3' of gin clear water on a sunny day right under the boat! I fished solo this trip, which was a total change and a birthday present to myself. I took my pictures with a set-up of a Canon A-95 Powershot camera with a flip-out screen (so you can see yourself), a Joby "Gorillapod" tripod, and a 10 second timer setting on the camera. 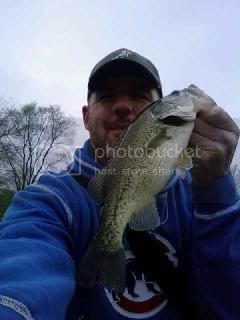 With a couple practice shots and a good routine in the boat I was able to lift the fish for about 12 seconds and have it back in the water. I recommend that if you fish solo you try the same set-up. So...anyway, pictures tell a thousand words. 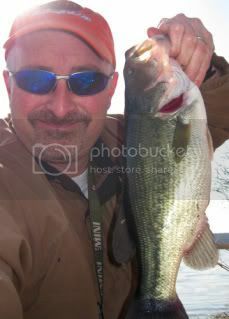 Here's what I got by throwing some whacky rigged Senkos, Mepp's #4's and Husky Jerks. Enjoy! It's been a strange spring. Seems like everything is a bit late, both here and all the way to Canada. 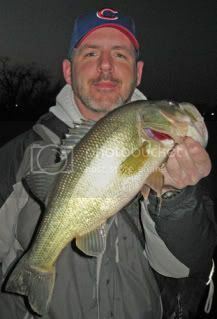 The bass JUST finished spawning in the chicagoland area. 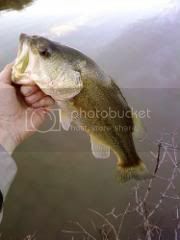 While on the Holcombe Flowage in N. Wisconsin a couple weeks ago we didn't see a single bass in the shallows. 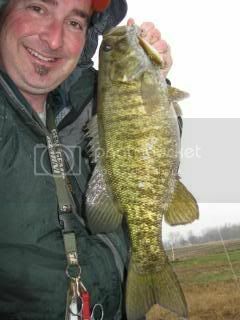 Word is that on the Pipestone Chain in NW Ontario, there still aren't any bass in teh shallows. As of last week surface temps were only about 54. 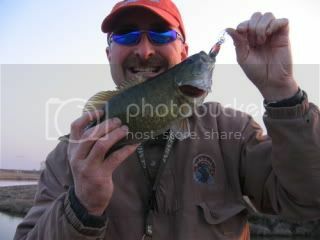 I'll be headed to Pipestone on June20th for a week of fishing solo. That should be an interesting experience which I'm looking forward to. 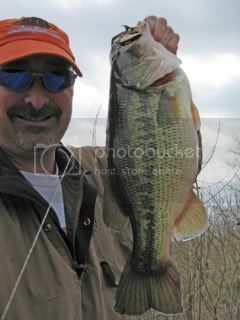 As far as the bite goes around chicagoland, we had a fantastic bite going on buzzbaits last week. 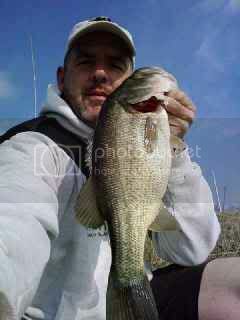 The cold fronts of this week turned that off and we're back to trying to pick up one here/one there on crankbaits. 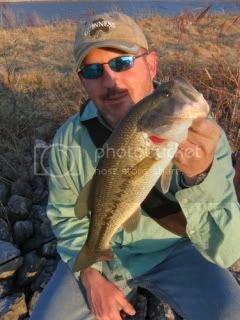 Mepp's spinners are also working well, as are whacky rigged Senkos. Mike was in Florida last week. We'll put up photos of that trip as soon as we can. Stay tuned for Mike's report. 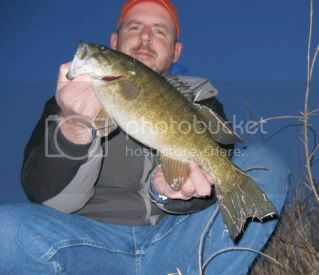 Here's some pics of recent catches arounf here and in N. Wisconsin. Enjoy. In other news: We have some COOL things to show you as far as new products. They include decals, window graphics for your car, AND a new press that is state of the art, biggest of the big and top of the line!!! 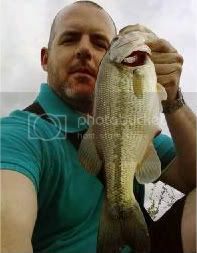 Also..Mike was recently fishing in Florida. We'll get a report of that up soon. 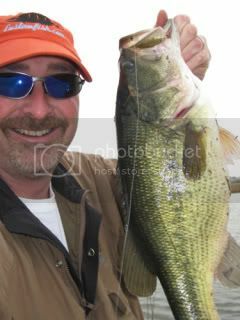 And Jamie is going to be fishing solo for a week on Pipestone Lake in NW Ontario June 20-27. Keep checking back for updates!!! Those are just a few of the fish from a couple quick outings. Still using the same tactics as previously written about. 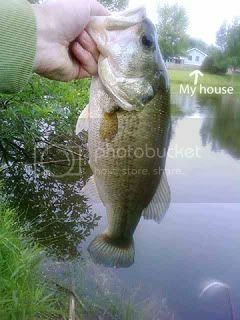 Only had a half hour to fish so I ran out to the back yard. Took 2 lures. 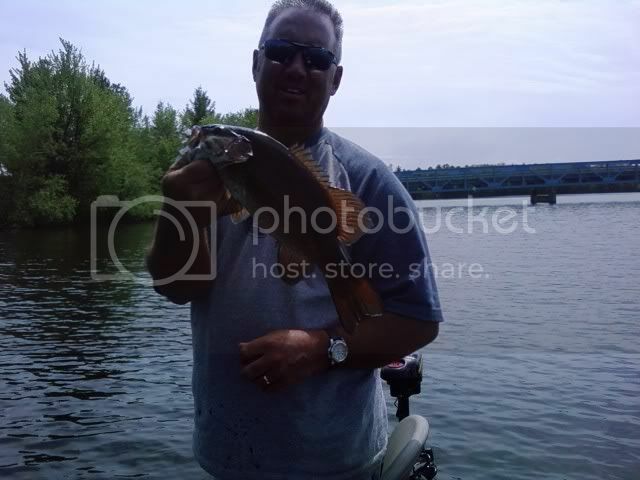 A Savage Gear Rattle Shad and a Salmo Bullhead. When you have limited time, only take a couple "go to" lures. Use one for 15 minutes then use the other for 15 minutes. 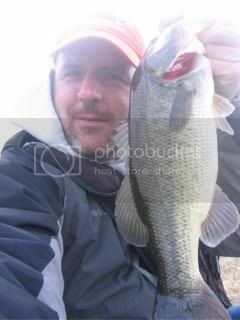 Sometimes the lack of time to fish makes you really think about what you are doing and how to catch something fast. Oh and here's some bonus fish from the other day. 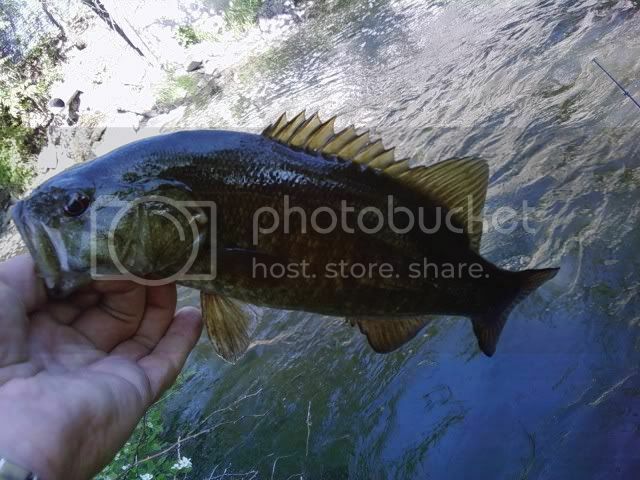 Name that fish and win a prize. We got a comment the other day but we not able to publish it. To the reader we apologize but we have a policy here of never naming an exact lake. It's the tactics that are important ,not the lake itself. Our tactics are being used by us on 6-9 different lakes at any given time. Plus....the place that was named is incorrect anyway. We were in western Kane County in an industrial complex. Ok...we get alot of emails asking exactly where we are fishing. Um...sorry. But no good fisherman gives up his spots. But we can tell you what to look for. As you know we have been out there fishing and hiking for almost 2 months now and we've done pretty well. We start every year long before 99.9% of fishermen even think about going out. The weather is rarely pleasurable. Often times we are wearing 3 layers while trying to keep warm, which never really works. 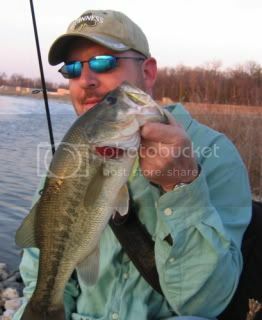 So...what kinds of areas have we been catching both numbers of fish and huge bass as well? 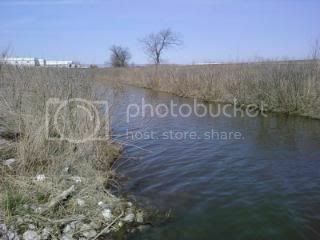 Ditches like this. It's not a stream. It's just a man made straight line ditch. 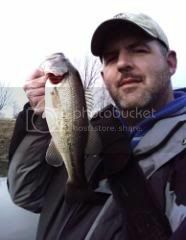 Hardly what you'd call a classic fishing spot, but fish tend to adapt to what is available, and if a "ditch" is their incoming water source...they're gonna use it! We're also looking for these. Storm drain outlets. 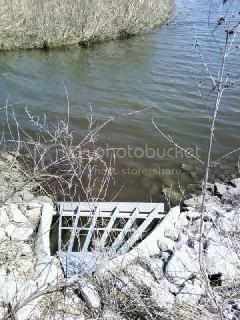 Think about it...the water that exits these is always warmer than the lakes they dump in to. 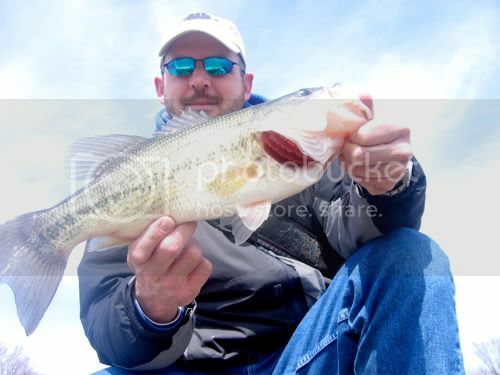 These are PRIME areas that almost always hold at least 1 good size bass. Ditches and drains have to lead into the lake somewhere. 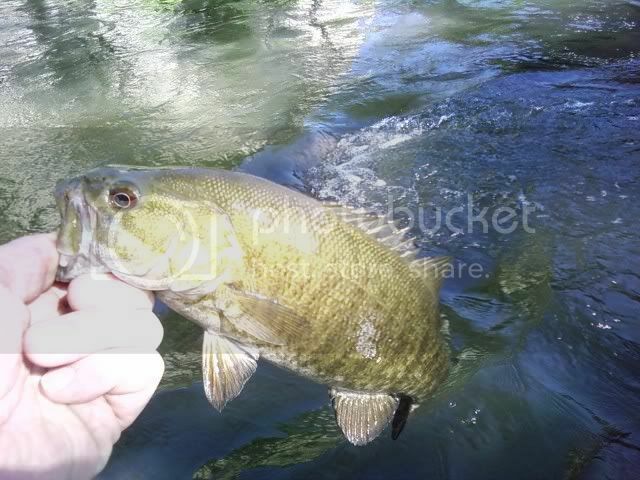 It's THAT area that usually has a school of bass sitting there. Of all of the huge bass you've seen us catch so far this year, it's a safe bet to say that 80% of them have come from these areas. The payoff? 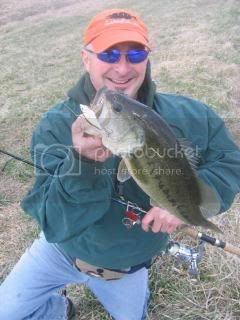 In quick time you can develop a milk run of spots like these that will allow you to effectively catch a few fish in a few minutes...often times in a few casts. 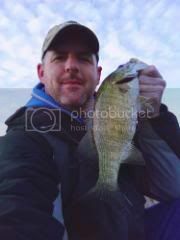 Those aren't very big, but even on a cold day with east winds and mile high skies, you can hit spots like these on just about any subdivision, factory or roadside lake and knock around a few fish in short order. And ofcourse, we're still throwing Rattle Traps and Rattle Shads. Burn em' in, baby! 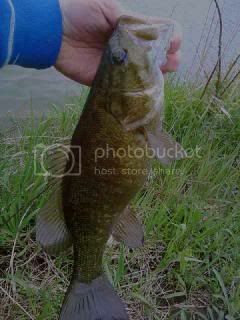 Burn em thru the ditches , culverts, drains and channel mouths for some quality smallmouth and largemouth. It may not be the prettiest scenery in the outdoor world.....but ya can't complain about the results. So..put the rattle traps back on. There, how simple was that for a report? Pat gets hooked to a shark. 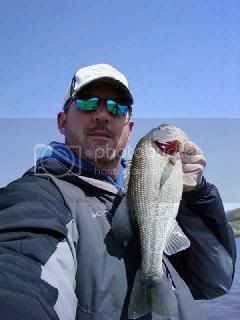 This is from Customfish reporter Pat Halko. 10lb jack as bait, 200 yards off the beach. Normally we get all our big sharks after dark but this run happened an hour before dark. The day before we had lost a big hammer and we could tell right away we had another one on. Hammerheads tend to fight on the surface and we could see the big dorsal fin of this shark hundreds of yards out during the fight. 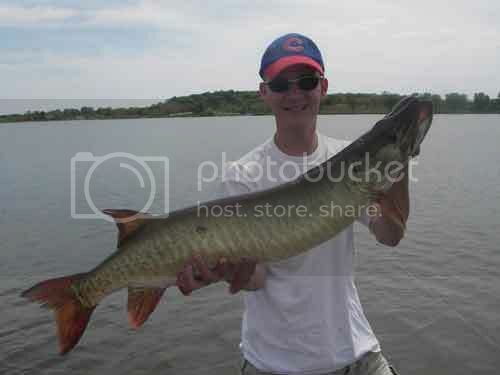 About 45 minutes on 80lb test with the drag as tight as it could possibly go and we were rewarded with this guy. 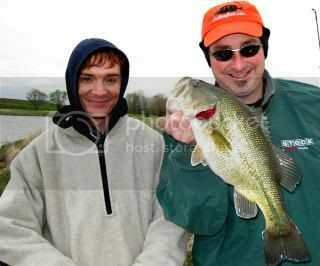 Of course I forgot that instead of using one 20/0 hook like we usually do, this particular day we put 2 hooks in the bait both with separate 6 foot wire leaders. As soon as I grabbed the shark he turned his head my direction which threw the hook right into the side of my foot. The initial sharp pain actually made me think I had stepped on a stingray until I felt the wire alongside my foot. 36 seconds in the video you can see my right leg suddenly get pulled out from under me. Luckily I didnt fall over or the shark would have been able to pull me out to sea. If I would have let go of the tail I would have been in deep trouble. Anyways 20 seconds of adrenaline go by before I ripped the hook out of my foot as hard as I could barb and all. I can still feel every head shake that shark made as he pulled my leg with him burying the hook deeper into my bone. But luck was on my side and we ended up putting a great shark on the beach and I have a great memory of getting in the water with one of the greatest predators alive. I guess when you have that much adrenaline you don't even feel reaching down and pulling out a shark hook from your foot. A Clockwork Green, with some bronze thrown in. It's like clockwork at this point. Now we're trying out some stuff that shouldn't work right now. 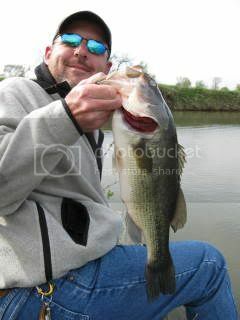 Mike was banging HUGE fish yesterday on a Reef Runner Rip Shad. 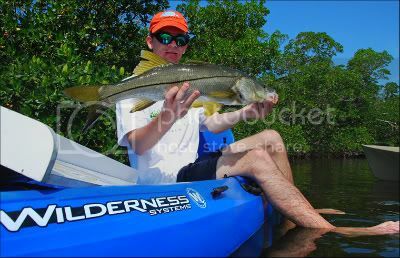 Yeah...we know "Who throws a Reef Runner Rip Shad while fishing from shore? 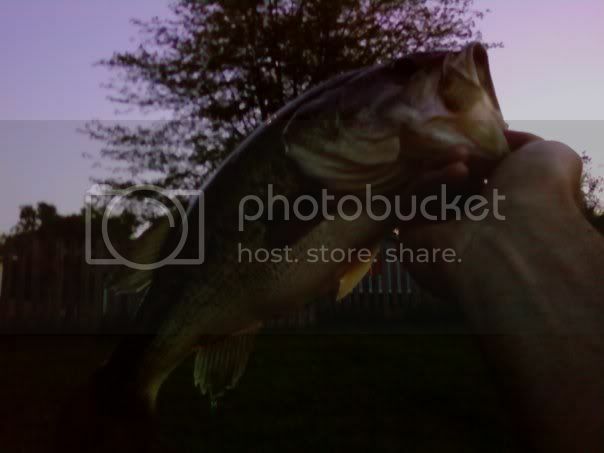 It's a trolling lure!" True. But, it dredged the bottom and activated a feeding frenzy. 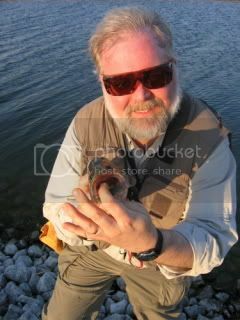 Today, based on what Mike did yesterday, I went with a Salmo Bullhead for 30 minutes and scored big as well. 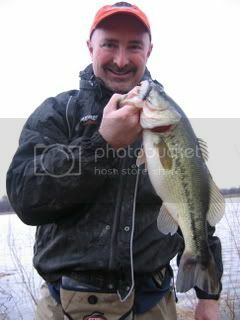 I was once told that bass will start hitting crank baits at 47 degrees. We disagree with that rule. We've been doing this with ultra fast retrieves for almost 3 weeks now. We started 4 days after ice out. The water is STILL not 47 degrees. Oh..oh...and what whackiness did Mike try today? 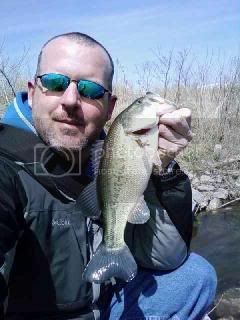 A topwater Chug Bug..IN MARCH! In 45ish degree water!! 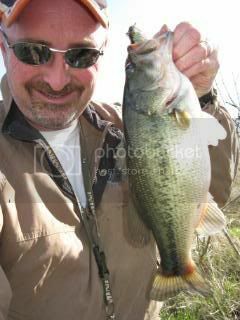 And in doing so caught several fish the likes of which 99.9% of all anglers will never equal in a lifetime. And he did it all in 15 minutes. 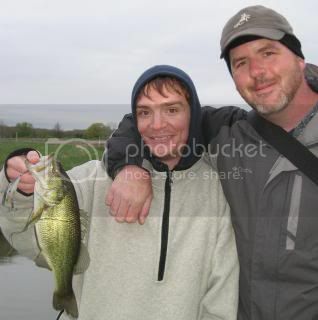 NOTE*** Mike and I fish 7 different lakes. And that's key. Sometimes we fish the same place. Sometimes we split up and fish different lakes to try to figure out whats what. 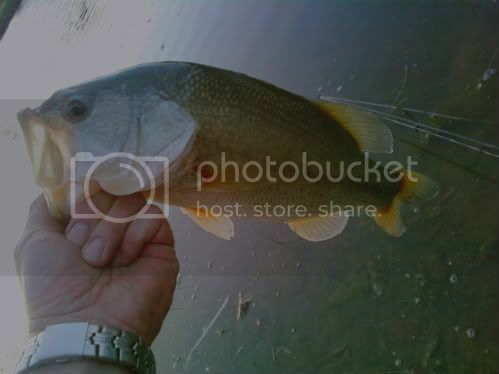 Today he fished at 3pm. 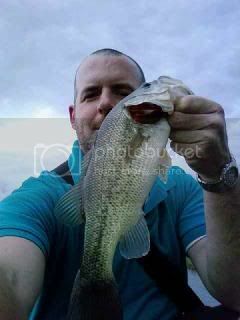 I chose a different lake and fished at sundown for 30 minutes. We're gonna use this as an educational post to teach you how to further enhance your photography skills. Sometimes we don't quite get it right either...so don't feel bad. 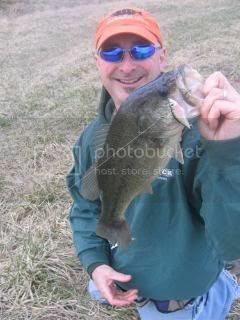 That last fish that Mike is holding was ALOT BIGGER than it looks in the picture. 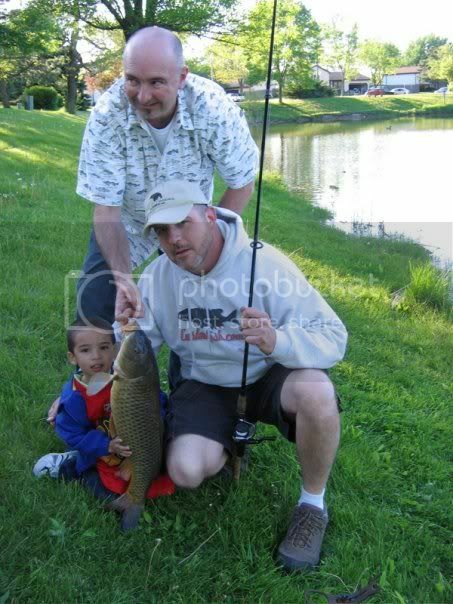 If you notice he's holding the fish BEHIND his head while trying to get the entire beast in the photograph. 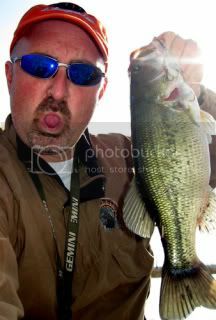 No matter how hard he tried he couldn't get the entire fish in the photo frame. That's where a tripod is a valuable tool. Jamie uses a Gorillapod made by JOBY. Retails for about $15. We'll be buying a couple extras so that all of our crew members has one from now on. 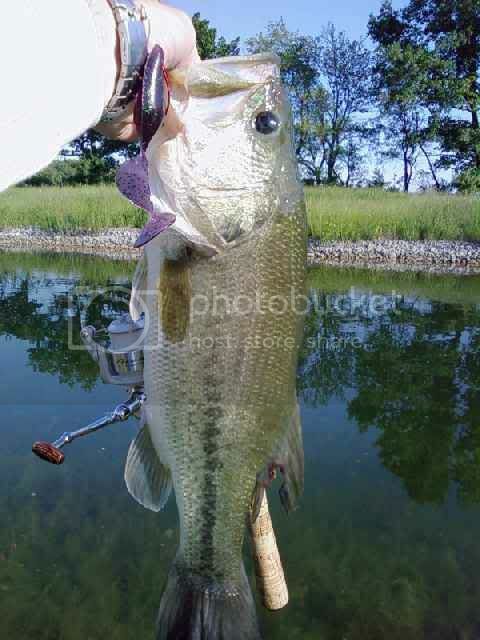 Tomorrow we are going to be writing an article that will surely anger you as an angler. It has to do with the stoppage of work on the Thorium Clean-up project on the DuPage river by Tronox ( formerly Kerr McGee). I'd stay tuned if I were you. Sat hello to my little friend! And his weapon of choice? 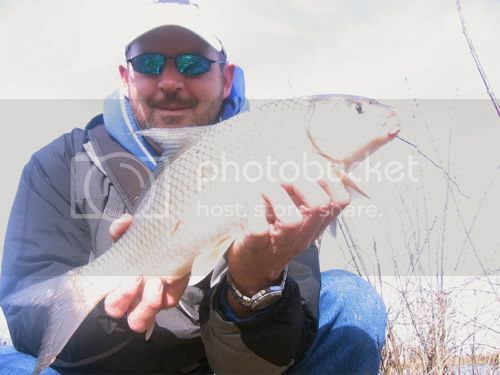 A lure called a "Reef Runner Rip Shad." How's THAT for unconventional?! And one for Jamie to boot. 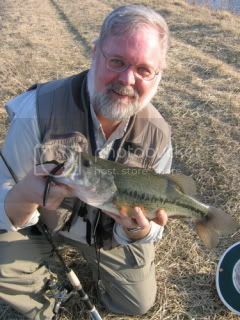 Earlier in the day Mike tried one of our other lakes for a few minutes and scored HUGE! He lost a fish that dwarfed these. I think he knows where it is though and you might see it here tomorrow. We are not just about fish. We're "Outdoor Geeks" as well. 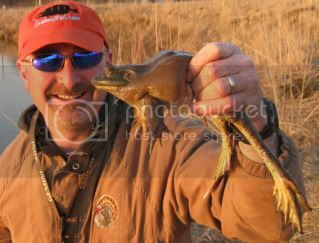 And just like any 12 year old should do, we find frogs and pick them up. 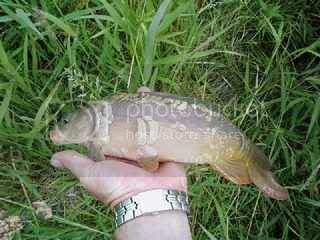 So..not only are our fish bigger. Our frogs are bigger too! 40 degrees out. It was 23 the night before. Huge monster coldfront moved in and took over what was previously mid 70's degree temperatures. Oh..oh...the fish couldn't be there STILL!! Oh my..they just couldn't Auntie Em! Listen up! I'm gonna say this YET again! The fish gotta eat and they gotta eat NOW! What..ya never heard of ice fishing?? They eat then don't they? So Ken and i meet up. he's got like 15 minutes to fish. he only needed like 15 seconds!! 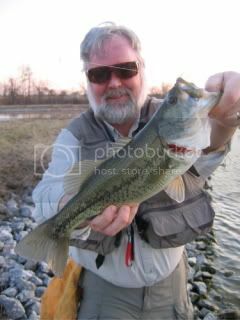 he takes three casts with his patented secret weapon ( Senko straight rigged on a Sliderhead...ya ya ya..we know already! Just beat us like red headed step children and get it done with already, Ken!". So anyway he takes THREE casts! I wasn't even out of the car yet! I look over and see his pole doubled over as he's pullin' one off the rock wall! 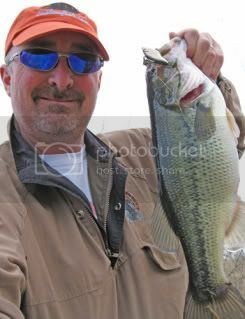 So...I had to fish another 90 minutes to finally connect but right at sundown ( the witching hour) I threw that red rattle trap down the lee ward shoreline of a main lake point ( right where this fish is supposed to be) burned it in as fast as I could reel, and WHAMMO!! Ten feet in front of me I tie into 20" of angered goodness! It's 40 out. The wind is blowing 20 from the south eat. It's a massive cold front. I'm wearing 3 layers. Robins showed up last week. 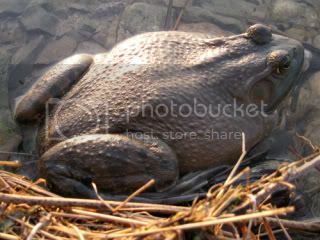 I've seen a couple frogs, plus i hear them at night. The first green plants are just starting to show. And the shad in the lakes are starting their annual migration into the shallows....and that brings the big fish right behind them. 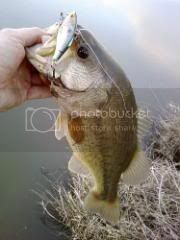 The tactics: Rattle baits burned in and suspending minnow baits twitched in a steady cadence. 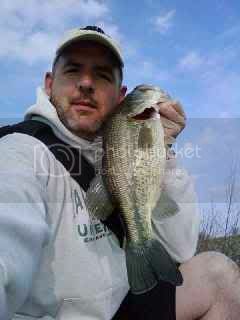 Plus the crappies have started to invade the shallows near any warmer incoming water source. 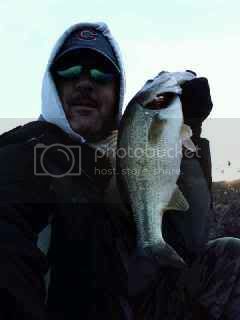 And even though a cold front came thru, these fish don't care. It's time to eat...that's all they care about right now. 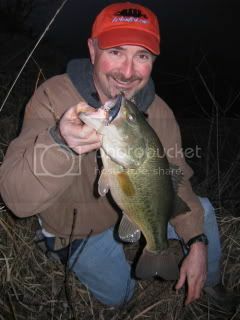 Ken Schumacher used a 4" Senko ( Black with blue fleck) on a Sliderhead jig crawled along the bottom. 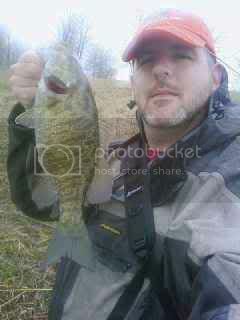 I used a Savage Gear Rattle Shad burned in as fast as i could reel it. There were half a dozen more caught in our short after-work-outing. General Zod has arrived. Riding a donkeyfish. "Is there no one on this planet to even challenge me?" And that's kinda what Mike was like today. Between raging thunderstomrs, we took the one hour of no-rain and headed to one of our favorite lakes as near record flood levels once again set in across northern Illinois. Ok..ok..so that's pretty good. Actually it's a better first cast than any single person reading this. 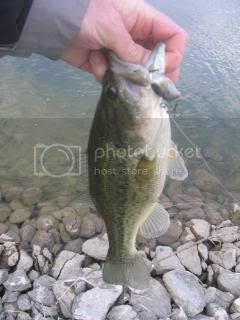 Then he makes a second cast. And then the forth! Oh god no...please not that forth cast!!! I hope you've been reading the blog for a while, because then you'll know what we were doing. 43 degree incoming water source. The need for speed! DONKEYFISH!!. 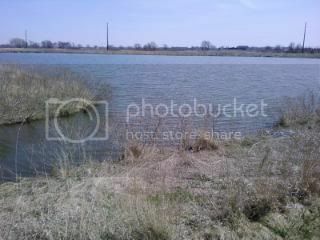 Plus Jade's crappie kingdom. Rattle baits. 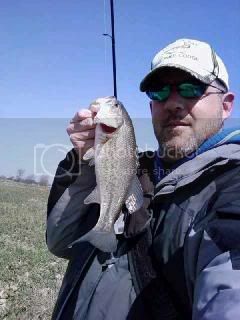 We use the Savage Gear Rattle Shad. A Rattle Trap or a Rattling Rap would also do the trick. Bring em in fast in 40 degree water. 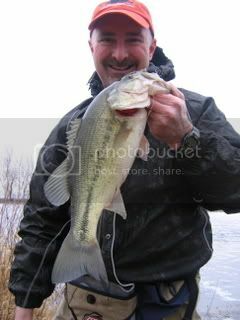 Bring them in so fast that you think nothing could possibly want to hit it in that cold water. This water was still partially iced a week ago. It isn't a numbers game. It's a trick to piss off the biggest fish ( or the craziest fish) in the area. Remember...the big fish have to eat first...and they got that way by NOT letting something go by quickly without eating it. 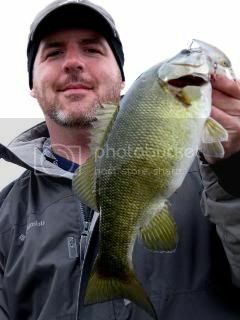 I also fought and lost a largemouth that was substantially larger than that smallie. 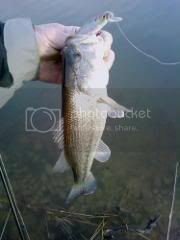 Plus got another one around 16", one about 12" and lost another one about 15". 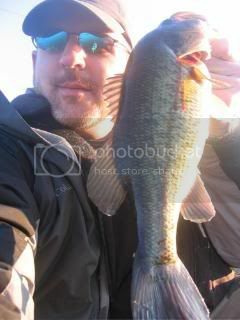 Oh...and the ones I caught had that 3" bait all the way in the mouth...all 4 hooks. They can swim WAY faster than you can reel it in, trust me. 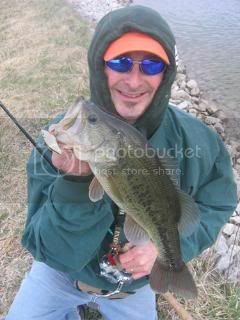 Also, Doug got on the board with his first fish of 09'! Nice one Doug. 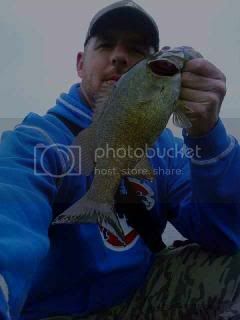 He was throwing a shallow Shad Rap in an area of fast incoming warmer water....which is exactly where you'd be if you were in a 40 degree lake, right? All makes sense now, doesn't it? 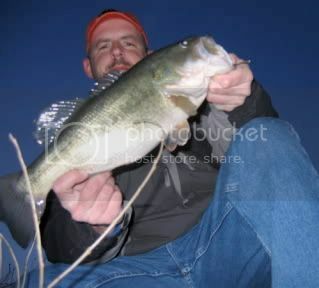 So...FAST baits or twitched cranks. Rattles. Incoming water that is at least 1 degree warmer than the rest of the water. And yes...it really is that simple. A big thumbs up to Ken Schumacher. The host with the most! I am in northern Alabama just south of the TN border. I would give it 1 to 2 weeks before the same action begins in northern Illinois.. Our water temp is barely in the 50s if that. We got snow last week. Watch for the dogwoods to bloom. Next week here should be even better. Find brush piles. 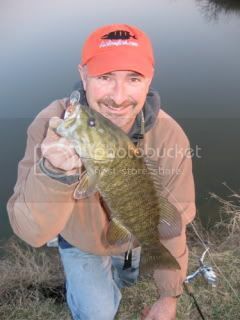 Use 1/32 to 1/16 oz jigs with either small tubes or maribou grubs. Need to have a little chartruese. 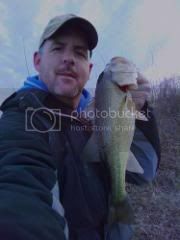 I have had one rod with a jig and the other with a float with a couple of split shot and a #6 aberdeen with a small minnow. Double the action. And last but not least..um..boys, you might want to check this out. That's all I'm saying. CLICK HERE No, we don't know her. We don't advocate her. We have no idea who she is and honestly I didn't even read the site. Ok..ok..so normally I'd say something clever and put up some bikini clad hussie. Can't do that this time cuz she's a friend of mine. So...here we go. 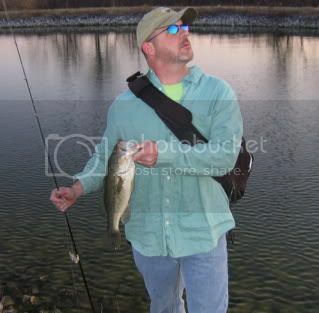 Without my whacky comment about some bikini clad hussie going fishing. That was SO hard to not put in my usual comments. Ugh!